The drastic cut in sulfate particle emissions in Europe partly explains the amplified Arctic warming since the 1980s, shows a new study published in Nature Geoscience. The team, which consists of scientists from Stockholm University and the Norwegian Meteorological Institute, say that their surprising finding highlights an even more urgent need for reducing greenhouse gas emissions to mitigate Arctic climate change. Human activities, such as industrial production, transport, power generation, and wood burning emit large amounts of tiny pollutant particles containing, for example, soot and sulfate, into the atmosphere. High airborne amounts of these particles, also known as aerosol particles, cause about 400.000 premature deaths every year in Europe and can be transported over long distances. Aerosol particles have different sizes, as well as chemical and physical properties, all of which determine their climate effects. – Soot particles absorb solar radiation and warm the climate, in a similar way as greenhouse gases, such as carbon dioxide, do. Sulfate particles, on the other hand, reflect solar radiation and act as seeds for cloud droplet formation, cooling the climate as a result. The overall effect of aerosol particles of human origin on climate has been a cooling one during the last century, which has partially masked the warming caused by the increase in greenhouse gas emissions, says Juan Acosta Navarro, PhD student at the Department of Environmental Science and Analytical Chemistry (ACES) and the Bolin Center for Climate Research, Stockholm University, and co-author of the study. Sulfate emissions, which cause, for example, acid rain, peaked in the 1980s in Europe and North America, which led to the implementation of strict regulations to reduce them. 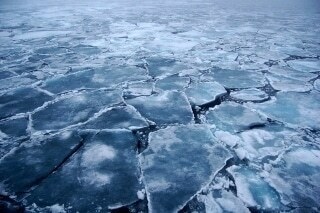 The new study shows that these policies had a profound effect on the Arctic. – Using a numerical climate model we found that sulfate reductions over Europe between 1980 and 2005 could explain a significant fraction of the amplified warming in the Arctic region during that period due to changes in long-range transport, atmospheric winds and ocean currents. In other words, thanks to air quality regulations implemented in Europe, part of the masking effect of aerosol particles has been reduced, revealing the true warming of the Arctic by greenhouse gases, says Annica Ekman, Professor at the Department of Meteorology (MISU) and Bolin Center for Climate Research, Stockholm University who also co-authored this study. The scientists expect further warming in the Arctic as levels of greenhouse gases will continue to increase and aerosol particle emissions will likely decrease to combat air pollution in different parts of the world.